Max doesn't believe in happy endings. He doesn't even like stories. So when he finds himself whisked away in a giant cake to The Land of Ever After, Max is NOT impressed. But the people of Ever After are in trouble, and they need Max's help. Will Max agree to go on a dangerous quest to save their world? And if he doesn't, how will he and his brand new brother and sister ever get home? 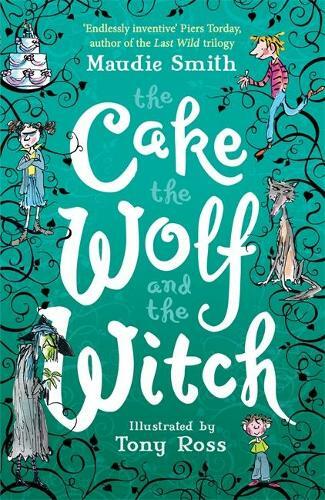 A mixed-up and fresh take on the fairy tale, with a sprinkle of Jacqueline Wilson and Liz Kessler, and perfect for fans of Enid Blyton's The Magic Faraway Tree. 'Endlessly inventive' - Piers Torday, award-winning author of The Last Wild.